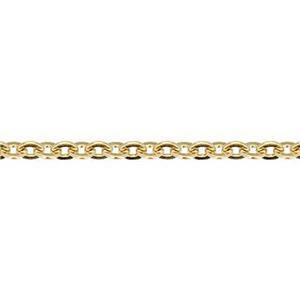 Tight tiny links give this gold filled chain strong construction in a compact diameter. A popular choice for the smooth, uninterrupted line it creates on the neck. A thread of gold. Beautiful and simple.